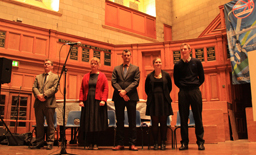 All performances by school teams are in front of a panel of BEO judges, who give each school a general mark for each event. Judges focus on three main areas of the academic performances: Presentation skills, Use of English and Content. 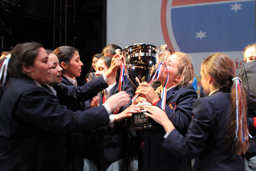 The best schools from each centre go on to the semi-finals, where a total of 24 schools perform. From there, six teams go on to compete in the Grand Final. Each school awarded a plaque of participation. Individual students receive a medal and certificate. The second and third place runners up will be presented with a spectacular BEO trophy, whilst the winning team will receive a larger version. The BEO closing awards ceremony takes place at a prestigious London venue, attended by ambassadors and diplomats alike. Last year’s event was hosted at the Dominion theatre in London’s West End. The glittering occasion celebrates the achievement and efforts of all participating teams, as well as the runners up and the long -awaited announcement of the BEO champions.